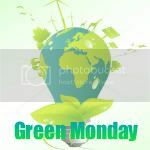 Today is officially the start of School year 2011-2012, Vienna gradeschools. Here’s my 3rd grader and 4th grader early this morning as we wait for the tram. Today was just a short meet-up with their teachers, they were given a list of what to bring for this week and a schedule of when they would be off from school. I waited for them to finish and I did snap some photos with their classmates and teachers (too lazy to upload). They were finished after less than an hour so we went to the nearest grocery store to buy some snacks for tomorrow. At home we tidied up some of their stuff, ate lunch then went to pick up the little boy from the Kindergarten. We then went to buy school stuff. The good thing about the school system is we buy the basics like colored pencils, crayons, erasers and those, we receive notebooks and books from the school for a fee of about 6€/8.45$. I’ve been buying this brand of colored pencils for three years now. 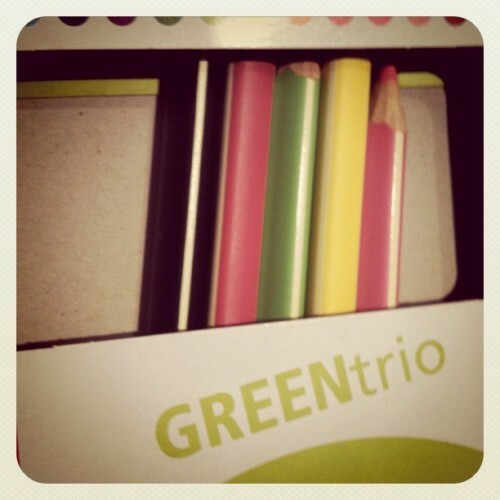 Stabilo’s GREENtrio pencils are triangular in shape so they don’t slip when you hold them. They’re made of recycled materials so we get to give our share in helping mother Earth by buying these. I can also say that quality-wise, these colored beauties are better, brighter and thicker than the usual colored pencils sold in the market so they last longer. I bought a pack of 12 for Dawty in basic colors, the teacher specifically said red, green, blue, yellow, orange, brown and black are important. 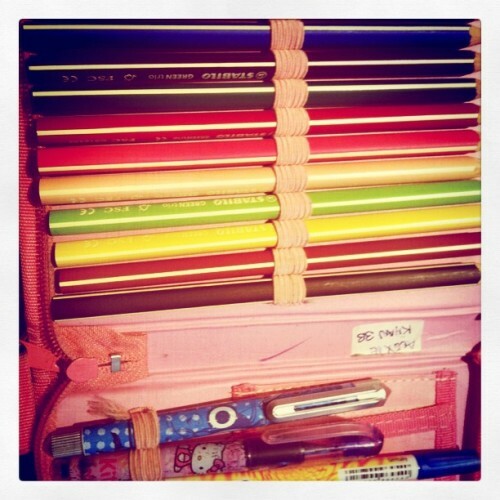 I love kid’s school stuffs for these are colorful. You’re lucky to have a good looking children… Visiting from Green Monday. Following via GFC here. 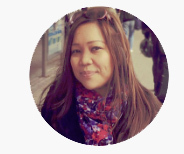 Hope you can follow back to my newly born blog. TIA. stabilo’s a trusted brand when it comes to school/office needs. i wonder what’s the medium of instruction in there school…german? have a nice week, mirage. Yeah Primary colors are very important…thanks for sharing.. I heard from a friend of mine that school year here in the Phil., starting next year, will start on the month of Sept. just like in the other country. Hopefully matuloy para safe yung mga bata if panahon ng tag-ulan. But summer fun will never be experience by students. Just like here, 1st day of school is just an orientation and tour to newbies. Your kids are lovely. I’m sure they were both excited on the first day. really nice. Next year, my peachy will start her schooling and i have to buy things narin, i hope that time , she knows how to take care of it .